Bond University Indian Association invites you to a night full of dance, music, food, fun, and entertainment. 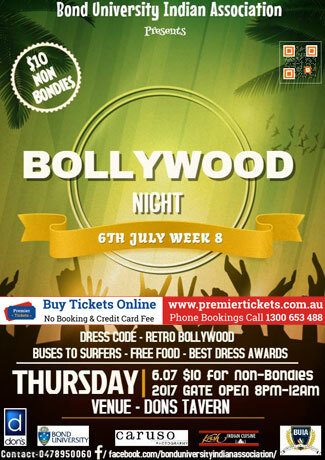 “BUIA Bollywood Night, 2017” aims to bring the most entertaining achievement of our country to you. Bollywood! !The theme of the night is to dress up like Bollywood Celebrities or Bollywood Characters. Two awards for the night – Best Bollywood Dressed and Best Dramatic Entrance. 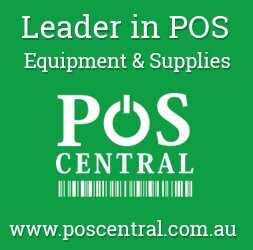 We love the Drama and hope you do too! Groove yourself to the beats of Indian Bollywood music mixed with your favorite pop music and catch the ethos of Indian Cinema (BOLLYWOOD). The decorations and essence of Indian food is gonna make you fumed to a memorable night of your life, so mark the calendar 6Th July 2017 (Thursday). Come and experience the best Bollywood groove and catch the Indian Cinematic theme.